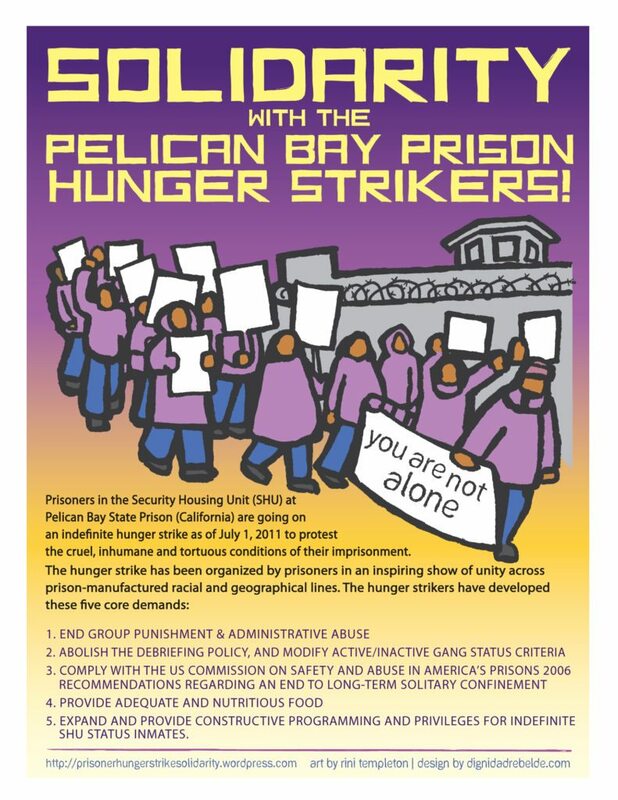 Folsom—On Sunday, June 4th, 2017, human rights advocates will hold a rally outside of Folsom State Prison (FSP) to amplify the voices of people incarcerated in the Administrative Segregation Unit (ASU) at FSP, who have been on hunger strike since May 25th. Prisoners in Building 4 of ASU are striking because they are forced in live in conditions that are inhumane and constitute cruel and unusual punishment under the U.S. Constitution. Despite the fact that FSP is aware of the dangerous consequences of prolonged social isolation, they continue to deprive prisoners of basic human needs, including normal human contact, environmental and sensory stimulation, mental and physical health, physical exercise, sleep, access to courts, and meaningful activity. The California Department of Corrections and Rehabilitation (CDCR) is aware (Madrid-Ashker-Coleman) that the conditions of extreme isolation will likely inflict some degree of psychological trauma, including but not limited to: chronic insomnia, severe concentration and memory problems, anxiety and other ailments. 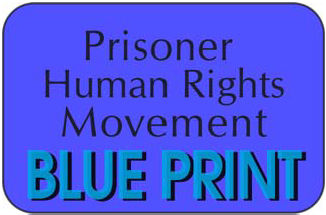 The CDCR and the general public have a heightened awareness about this issue because of the prisoner hunger strikes that swept California in 2011 and 2013 and involved more than 30,000 prisoners. Those strikes led to Ashker v. Brown, a federal class action lawsuit asserting that prolonged solitary violates the 8th Amendment (cruel and unusual punishment) and putting someone in solitary based on gang association violates the 14th Amendment (no due process). The case reached settlement in September 2015, ending indeterminate solitary confinement terms in Security Housing Units (SHUs), but did not prevent prisoners from being kept in prolonged solitary confinement in Administrative Segregation. FSP continues to claim that lack of money prevents them from abiding by CDCR’s stated goals, and are content to not only ignore the suffering of men in its care, but to retaliate against them for their peaceful protest. Folsom prison hunger strikers have the following demands, which are published in greater detail here. Serious Sleep Deprivation of CA prisoners in solitary continues- Please speak out! Dr. Jamie Zeitzer, PhD, recognized worldwide as an expert in sleep and circadian rhythms, concluded in his 10/25/2015 report: “The current practice of 30 minute wellness [sic] checks of inmates housed in the SHU is likely a cause of severe sleep disruption. This type of sleep disruption is likely worse than anything that has been provocatively studied in a laboratory. The known consequences of chronic sleep loss, including disruptions to metabolism, memory, mood, and health, are likely even more severe in these individuals. ‘Security/welfare checks’ persist in SHU’s, Ad-seg’s, Psychiatric, and Condemned Units throughout CA prisons, waking people locked in solitary confinement every 30 minutes, night and day. The PHSS Committee To End Sleep Deprivation works to end these checks. Suicide expert and Special Master in Coleman v. Brown, Lindsay Hayes and Matthew Lopes, still claim the “security/welfare checks” are suicide prevention despite the sleep deprivation and excruciating mental and physical health problems they cause. Write to Hayes and Lopes (and send us a copy) about how the checks affect(ed) you and what you think true mental health and suicide prevention require, or send one letter to the PHSS Committee, and we will forward it to Hayes and Lopes. We also ask people not in prison to write Hayes and Lopes and urge them to stop this harmful practice. Share any personal or professional understandings of the need for sleep and the effects of sleep disruption/deprivation. Please write letters to Lindsay Hayes, the suicide expert who’s endorsed this harmful practice by CA Dept. of Corrections. Hayes can stop the “security/welfare checks.” We want Hayes to hear the voices of the women and men affected by these torturous checks, and we ask you to be the messengers. Guards are jarring prisoners awake every 30 minutes, all day and night, in Central California Women’s Facility death row and in Pelican Bay SHU with noisy so-called “security/ welfare checks,” causing severe sleep deprivation. These checks are purported to be ‘suicide prevention,’ yet are being used as a blanket practice, whether prisoners are suicidal or not, and despite the fact that denial of sleep is devastating for the human mind and body. People need sleep for survival, mental and physical health and well-being, and to organize for their human rights. California prisoners in solitary confinement continue to be sleep-deprived due to jarringly noisy “security/welfare checks” 40-48 times a day. The ‘checks’ are particularly loud and distressing for people in Central CA Women’s Facility (CCWF) Administrative Segregation death row, due to guard aggressiveness, and in Pelican Bay State Prison Security Housing Unit (PB SHU) where cramped, concrete architecture also amplifies the noise. Please make calls (#’s below) and click here to send emails opposing the “security/welfare checks” that are causing sleep deprivation in Pelican Bay SHU and CA Women’s death row. Sleep Deprivation is Torture. Stand with prisoners and their families to demand an end to this torture. We ask that you distribute this flier at your actions. We want to have a big call-in and email day on Monday, April 25th! CA – After months of public outcry, California Families Against Solitary Confinement (CFASC) and the Prisoner Hunger Strike Solidarity Coalition (PHSS) have submitted a formal complaint to Juan Mendez, the UN Special Rapporteur on Torture and Other Cruel, Inhuman, and Degrading Treatment or Punishment condemning the California Department of Corrections and Rehabilitation’s (CDCR) jarringly noisy and disruptive “security/welfare checks” in Pelican Bay State Prison’s Security Housing Units (PB-SHU). These checks, which started on August 2, 2015, have deprived the prisoners of sleep for eight months, amounting to what is widely recognized as a form of torture. The complaint was submitted last week, on Thursday, March 24. CA prison guards are still doing malicious, jarringly noisy so-called “security/welfare checks” in solitary confinement units, causing ongoing sleep deprivation. The ‘checks’ are particularly loud and distressing for people in Central CA Women’s Facility (CCWF) Administrative Segregation death row, due to guard aggressiveness, and in Pelican Bay State Prison Security Housing Unit (PB SHU) where the cramped, concrete architecture also amplifies the noise. to demand the sleep deprivation end immediately! 40-48 times a day, these “checks” are subjecting people in small solitary cells to the reverberating “boom” of steel unit doors opening and slamming shut, and guards stomping through pods, up and downstairs, rattling keys and chains, beeping and banging Guard One metal pipes on metal buttons and cells, and shining flashlights into people’s eyes. Sleep-deprived, the prisoners are suffering severe stress and irritation, depression, weight loss, dizziness, nausea, headaches, migraines, eye problems, intestinal problems, faintness, high blood pressure, accelerated heart rates, blacking out, stomach acidity and pain, and vomiting. They cannot concentrate, exercise, read, write, or do legal work- the things that help them survive. they are causing serious psychological and physical harm. These “checks” serve no welfare or security purpose. They only harm the prisoners, mentally and physically. amazing movement and led to the historic 2015 settlement ending indefinite solitary confinement in CA. It appears CDCR is attempting to prevent future effective human rights work by prisoners in solitary by instituting a debilitating and internationally-condemned torture technique: sleep deprivation. Go to “Sleep Deprivation” at prisonerhungerstrikesolidarity.wordpress.com (Sleep Expert Reports, Media Articles, Videos, Personal Testimonies, Attorney Reports, Scientific Articles, Letters in Opposition).